I am a widow for the last 13 years have 5 children. I am looking for sombody who like myself is at this stage of my life wants to meet a genuine person wants to get to know sombody not just for one think. Would like to just to relax likes going out for meals, I love going away for weekends, just as happy sitting in with a glass of wine and watching a movie. Hopefully I will meet a nice genuine man. Please no time wasters. ?. Photos only. ? Flyser is a Female dating in Meath, Ireland. 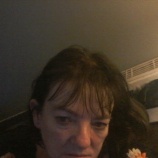 Check the description of this 58 years old profile, maybe this matches your profile description and you can both start dating in Ireland for free.